Borden was gazetted as a town in 1916. The name was proposed by the Secretary for Railways as the name of a siding on the then-new Tambellup-Ongerup Railway. It was named after the Right Honourable Sir Robert Laird Borden, the 8th Prime Minister of Canada (1911.1920), although there is no record of why. In the early years, at the height of the sandalwood trade, Paper Collar Creek was a meeting point for the sandalwood cutters as they travelled between the hinterland and the port. When they headed to town, they would dress up their shirts with collars made of paperbark to impress the ladies, and then discard the paper collar near the creek on the way back. The national park is where nature lovers come to see an abundance of flora and fauna or to test themselves hiking, abseiling or rock climbing. 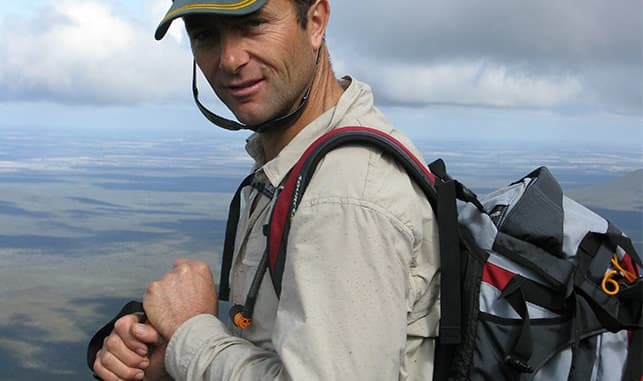 It has some of the best mountain walks in Western Australia, but walkers must always carry water and be prepared for sudden weather change as mountain mists, wind chill and rain can occur at any time. Light snow sometimes falls on the higher peaks during winter but it rarely lasts more than a few hours. 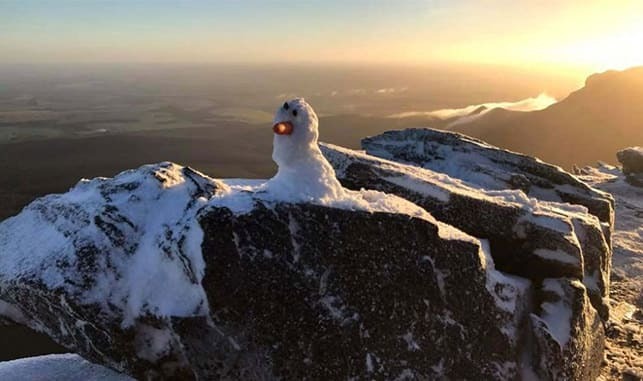 The walks on offer include Bluff Knoll (1096m), Toolbrunup (1052m), Ellen Peak (1012m), Mount Trio (856m), Mount Magog (856m), Mount Hassell (847m) and Talyuberlup Peak (783m). The Lily Dutch Windmill is an authentic 16th Century design brick “ground-sail” mill. 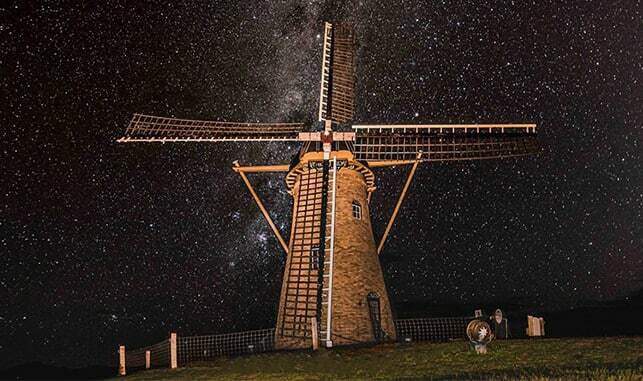 The five story full size Dutch Windmill is one of the largest traditional windmills ever built in Australia. Take a guided windmill tour (by appointment), purchase some outstanding spelt flour and stay in a range of beautiful accommodation options, including a Dakota DC3 plane. Both abseiling and rock climbing are permitted in the Stirling Range National Park. From 15thAugust to 31stOctober, Wildflower and Orchid Tours leave the Stirling Range Retreat daily at 9.00am (duration 3 hours). Tea, coffee and Anzac biscuits are provided. Bookings are recommended. Dawn and Dusk Bird Walks (8am and 3pm) are held at the Retreat daily led by Birdlife Australia volunteers from 25th August to 27th October (duration 1.5 hours). All tariffs from these walks are donated to Birdlife Australia for preservation projects. Visit the famous CAUTION, NUDISTS CROSSING sign near Amelup Store, where gentlemen can create their own unique photo memento from the waist up by standing behind the sign. A great place for a travel stop, just 200 metres from Pub Borden. Located 13km along Nightwell Road, off Chester Pass Road. Legend has it that it was called Nightwell because the water only flowed from the ground at nighttime, never during the day. For lovely easy walks, the Mabinup Creek Trail and the Mabinup Track are accessible from the Mount Trio Bush Camping and Caravan Park. There are also various other walk trails from 1.5 hours to 2 or 3 days throughout the Stirling Range.